Abi is showing Highcliffe 2 in a new Arborealists exhibition at the Mariners Gallery St. Ives, along with the St. Ives Society of Artists. The painting is illustrated in a review of the exhibition by Peter Davies in the St. Ives Times and Echo. Abi has a painting on show currently at the Black Swan Arts Centre, Frome, Somerset, in a show with the international group the Arborealists. Abi has a Lady Park Wood inspired painting on exhibit at Monmouth Museum as part of Wye Valley River Festival. The Private View is on Saturday 12th May 2018 6 – 8pm and the exhibition continues until September 9th. Abi is exhibiting two paintings in an exhibition with The Arborealists ‘The Art of Trees’ beginning on Wednesday 13th December 2017 at Art Bermondsey Project Space 183 – 185 Bermondsey Street London SE1 3UW. Tel. 0203 4415152. The Arborealist's recent exhibition in Poitiers, France at the Dortior des Moines de l'abbaye de Saint-Benoit, featured three new paintings by Abi. These were inspired by a visit to Poitiers woodlands last Autumn. The exhibition was described as 'sublime' by regional newspaper reviews. Accompanying the show: a recently published second book on the Arborealists group The Art of Trees, featuring two colour plates from Abi. 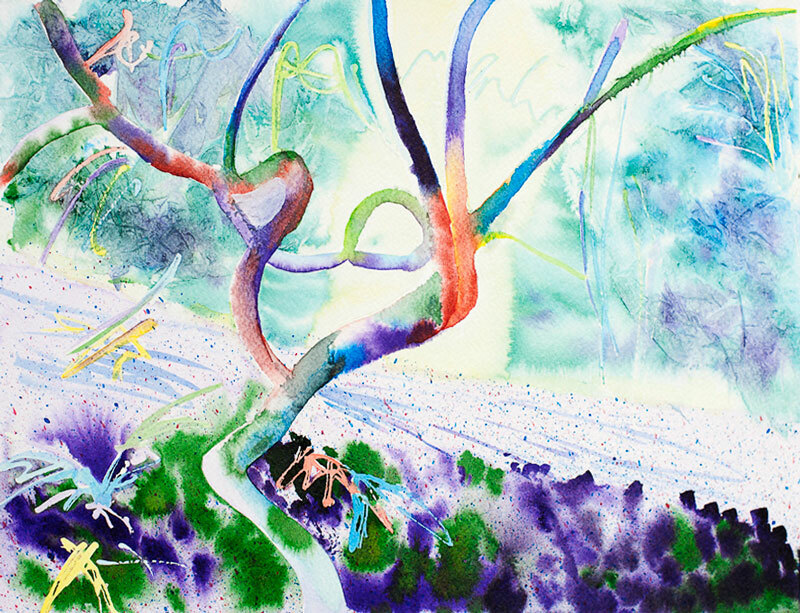 "The Art of Trees: The Arborealists"
The Russell-Cotes Art Gallery & Museum is pleased to welcome back renowned local artist Abi Kremer with our new selling exhibition, Echoes of Woodland. The exhibition runs until Sunday, 30 March 2014. 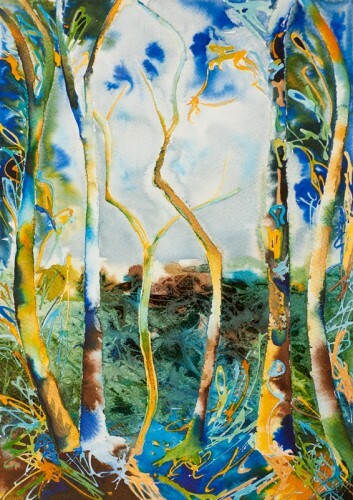 The enclosed and atmospheric woodland settings of Holton Lee have long provided Abi with rich and diverse source material, which she has interpreted into her work as a celebration of growth, movement and light. With Echoes of Woodland Abi has explored the relationship between landscape and prior influences of music and dance and has taken inspiration from the imagery of the natural world, with structured elements appearing against wonderful dream-like backdrops. All works on display are available for purchase. Artist’s Talk: Sunday 2nd March 12 – 12.30 pm. An informal discussion of works on display in the Gallery. Saturday workshop full. Additional workshop: Sunday 9th 11.00 am-4.00 pm. Abi’s work has been selected as part of a prestigious two part touring exhibition Under The Greenwood, focusing on artists who have been inspired by trees. Part one will be historical, including artists such as Samuel Palmer, Gainsborough, Constable, Paul Nash, Ivon Hitchens and Graham Sutherland, among others. Abi Kremer’s touch as an artist is light, sometimes fugitive. The evocative mood that she seeks to establish in her paintings and prints is often one with a meditative character. Yet if the touch is light, then it also brisk or calligraphic.